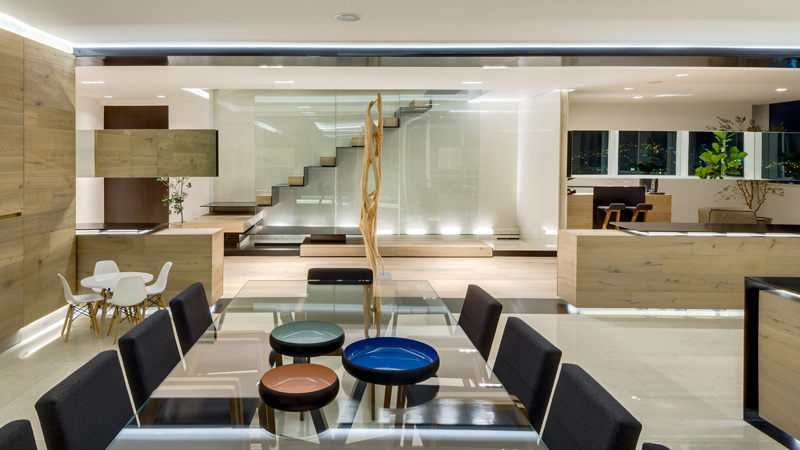 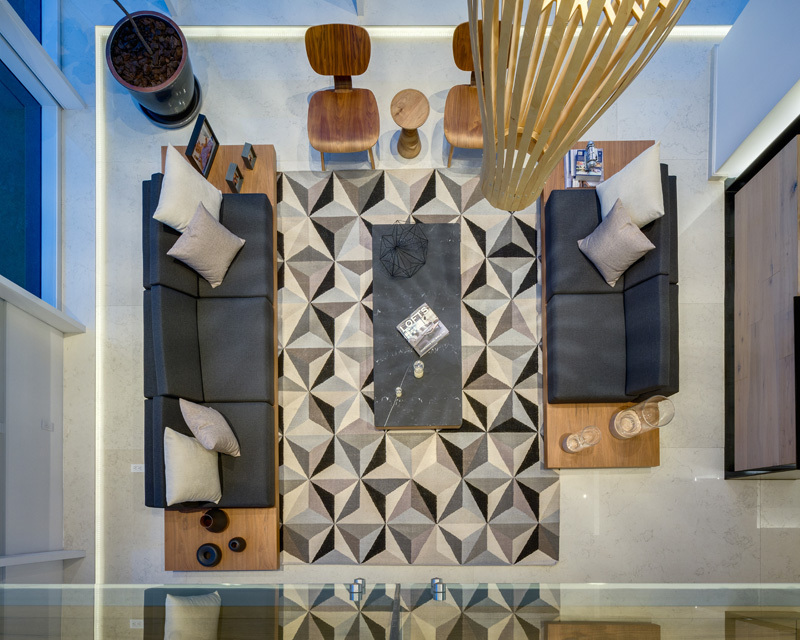 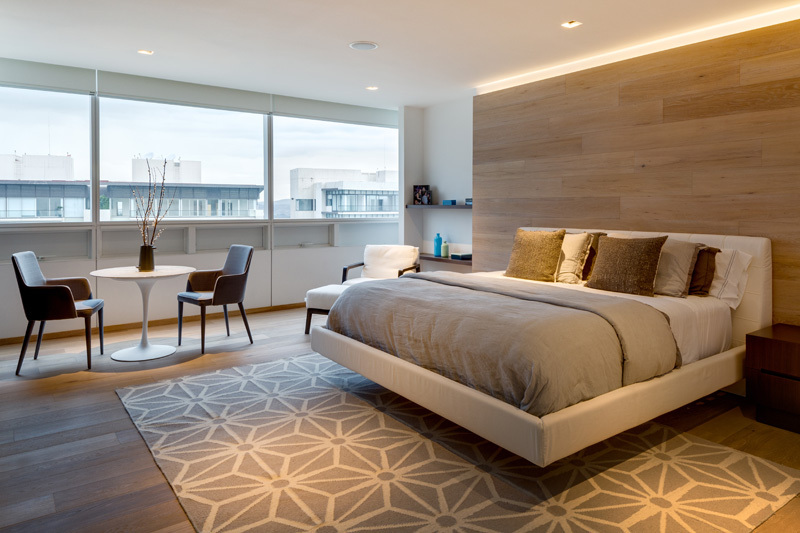 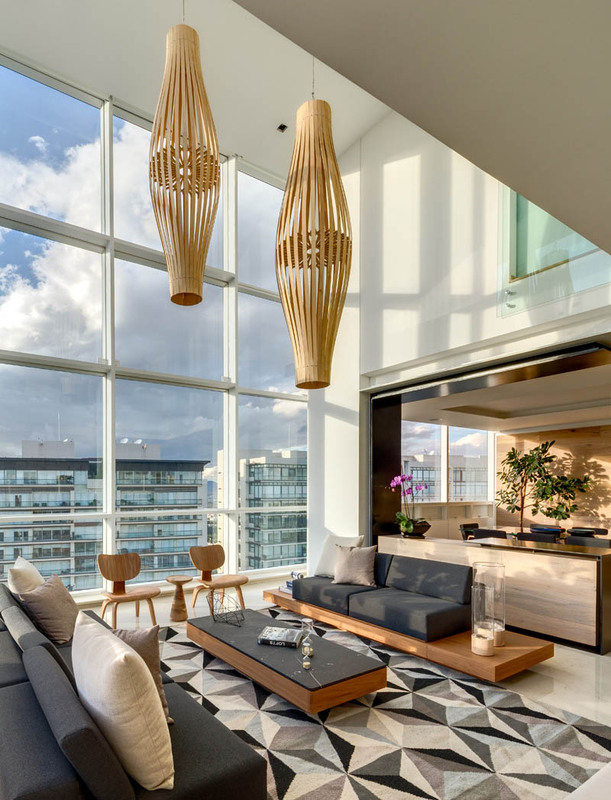 ARCHETONIC have designed the interior of a penthouse apartment that overlooks Mexico City. 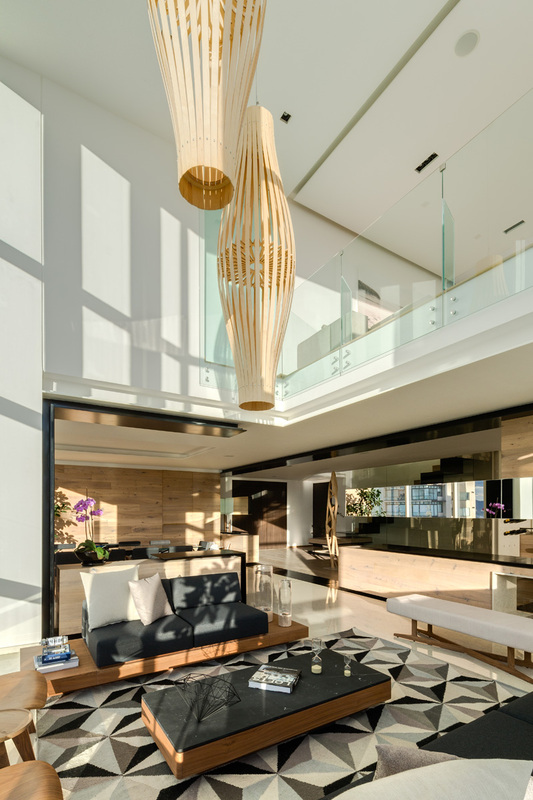 Penthouse MK is an interior design project where our principal design premise was to enhance the sense of spaciousness. 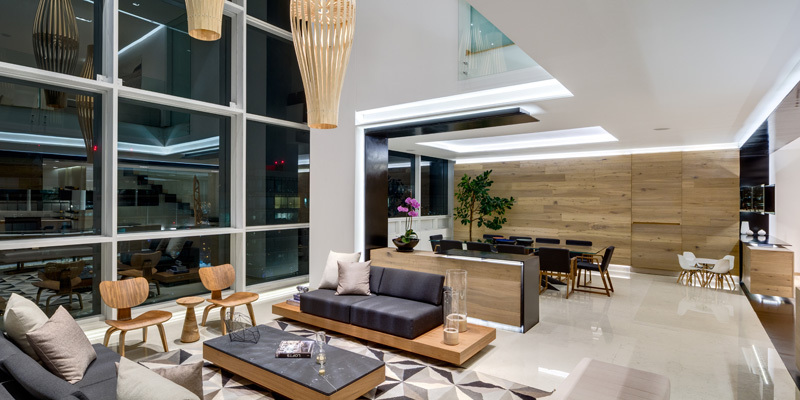 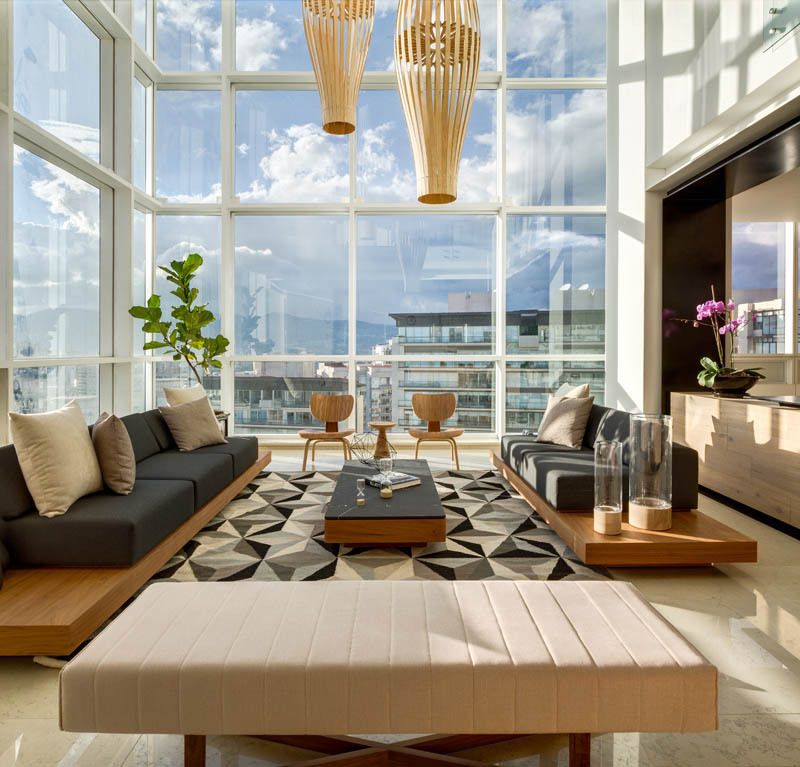 The building that is home to the penthouse boasts a transparent façade that inspired to take best advantage of the spectacular views over western Mexico City, and the sunsets. 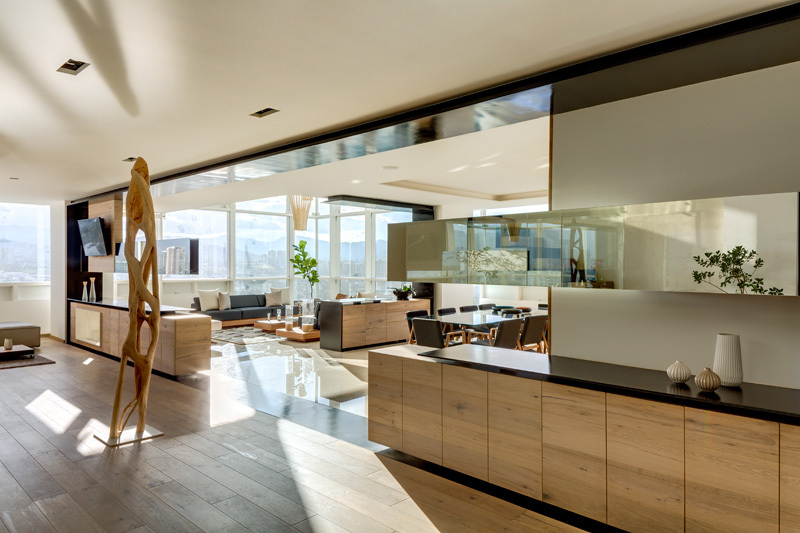 To achieve this we resorted to a very clean, lightweight geometry, using rectangular prisms to delimit the spaces without obstructing the visual communication between them. 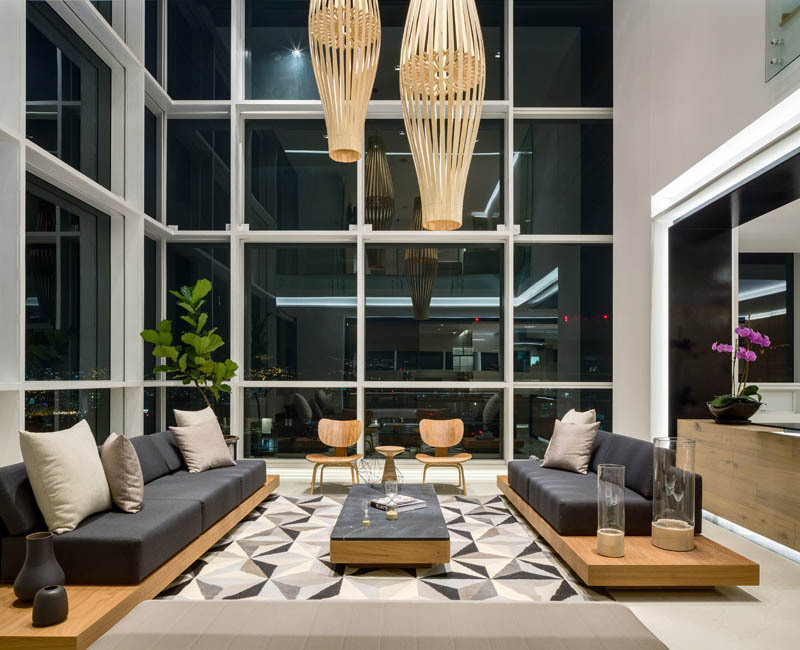 These architectural elements that distribute the spaces also serve other specific functions depending on their location, and make sense of how the space is used. 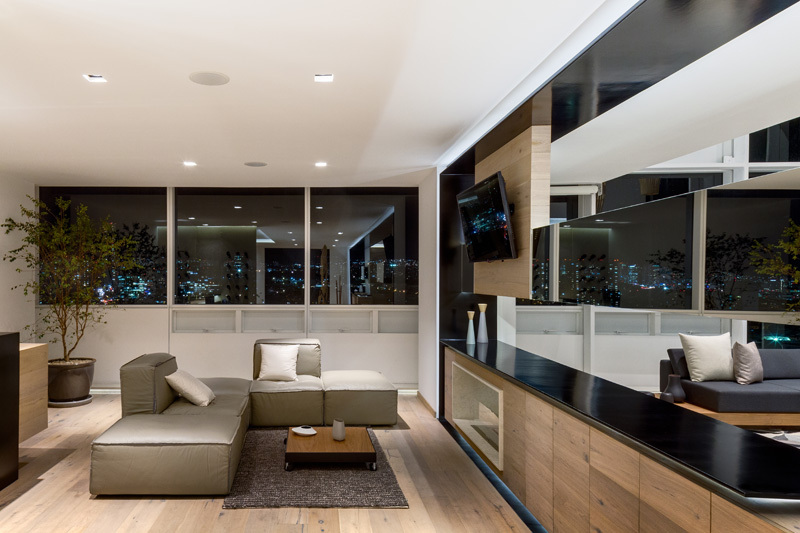 The public and private areas are circumscribed by their two levels. 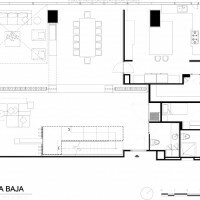 The lower floor contains the kitchen, dining room, lobby, reception, and lounge. 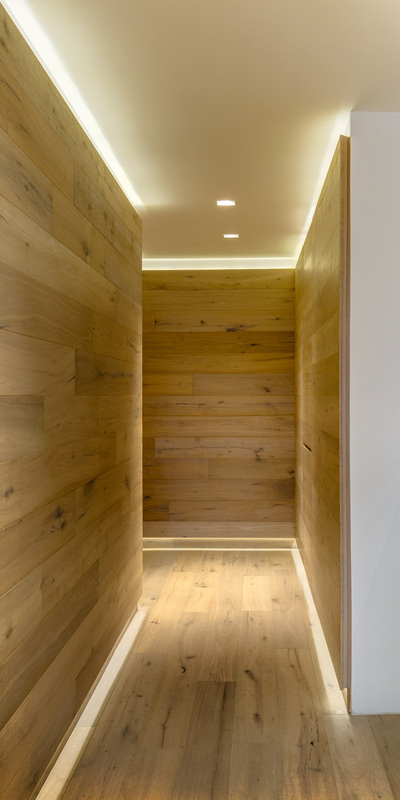 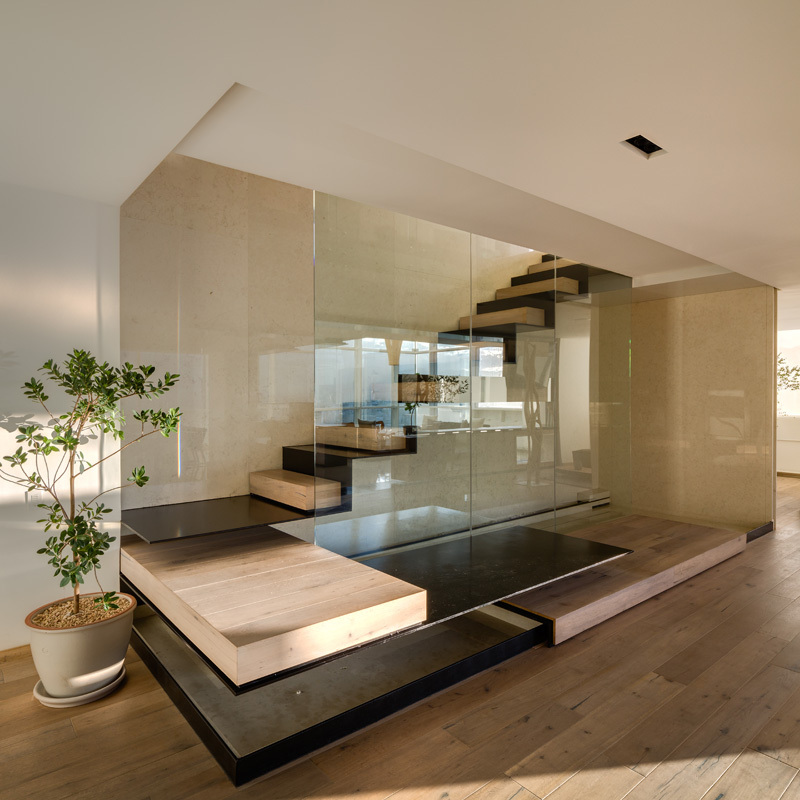 The latter is located in a double-height space that during the day is naturally illuminated by a full-height right-angled window that frames the whole space, filling it with light. 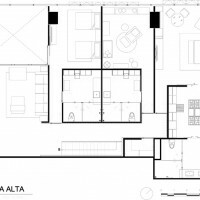 The upper floor contains three bedrooms and a TV room. 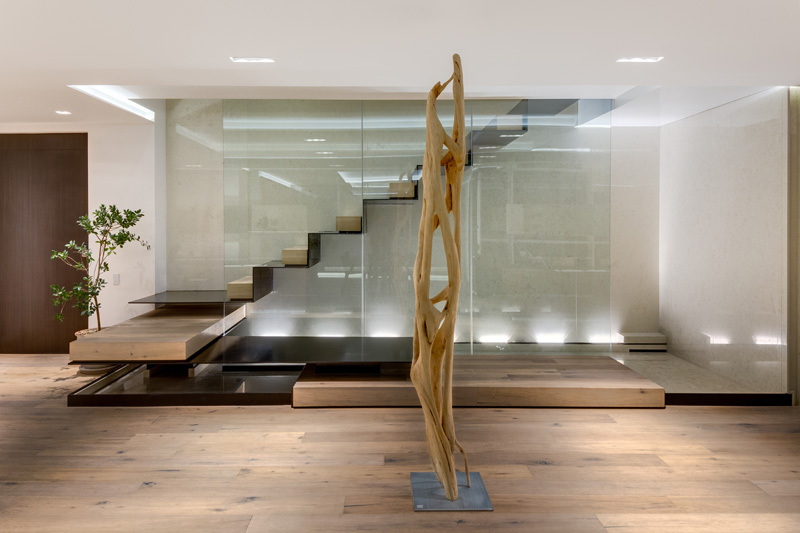 The sculptural staircase that links the two floors “levitates” over a water pool, which is complemented by a wet wall that produces a gentle sound, and transmits a fresh energy. 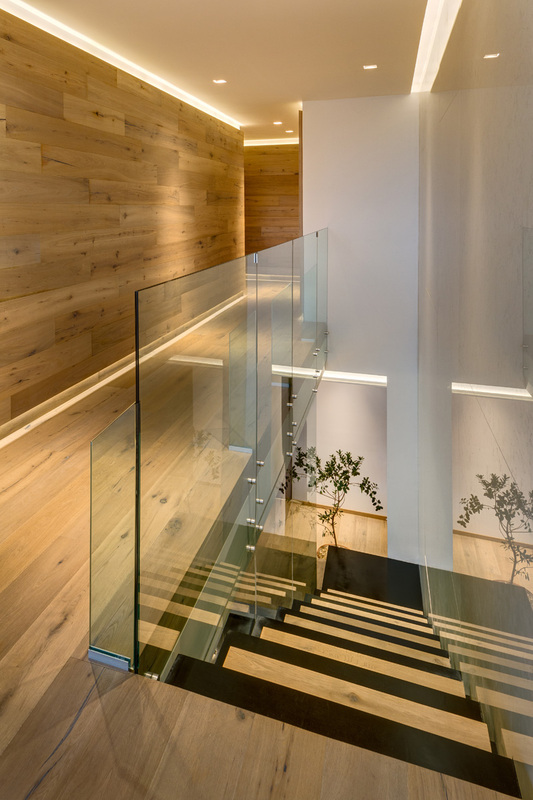 The selection of materials was defined by the goal of achieving a clean, uniform outcome, using wood with rich oak tones, ivory-white stone, and black ironwork. 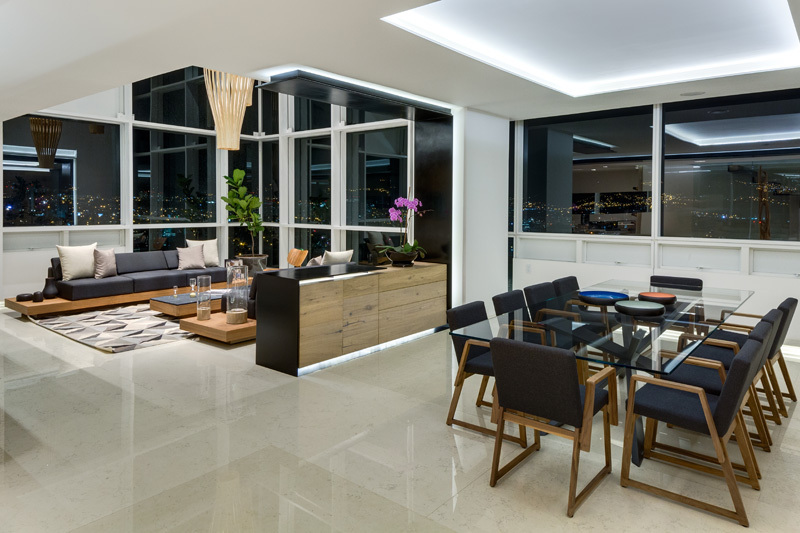 At night, the city lights fill the space with life and complement the lighting design, which defines the character of the penthouse.